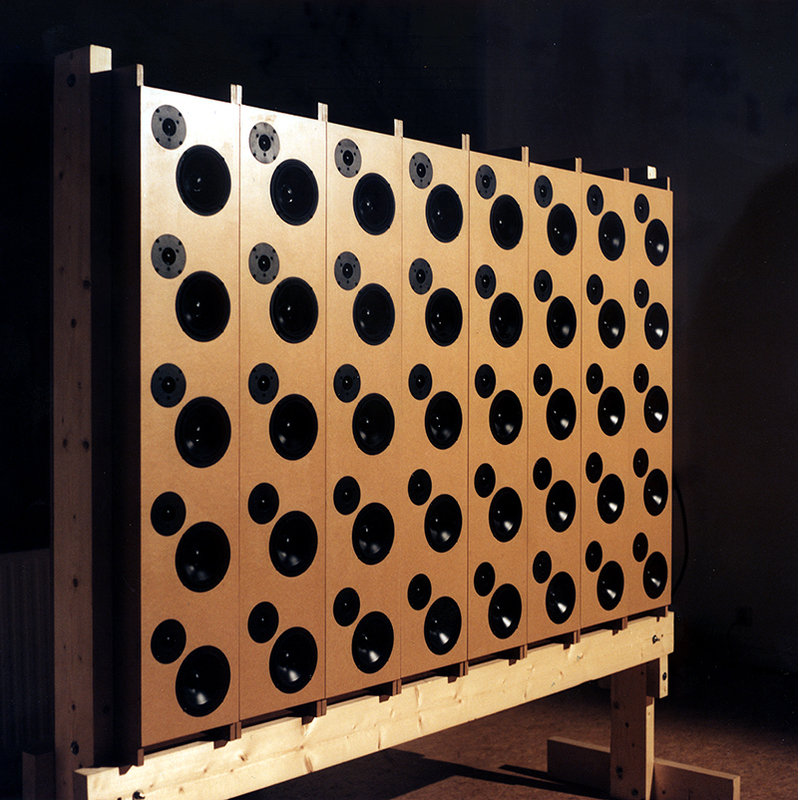 In december 1998 Edwin van der Heide realized his sound installation 'A World Beyond the Loudspeaker'. 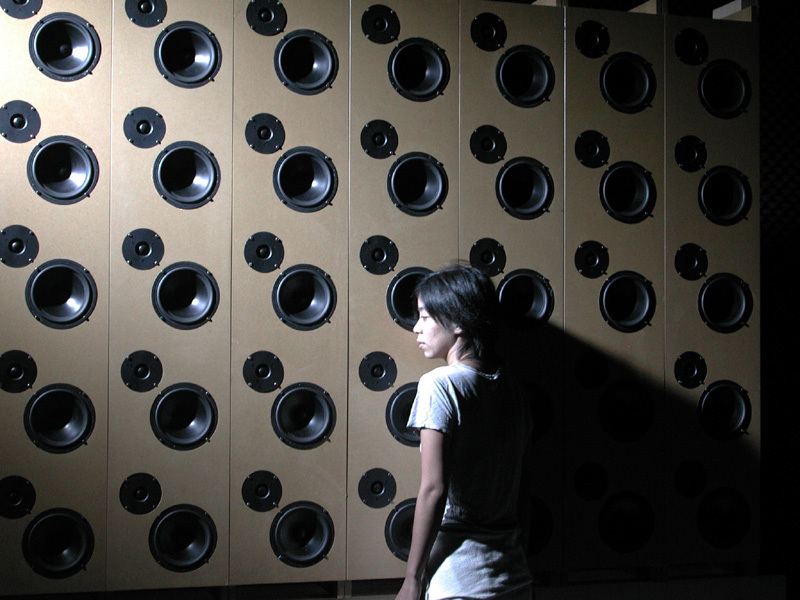 The installation consists of a surface of 40 individual loudspeakers. The use of this number of loudspeakers with a relatively small spacing creates the possibility to not only 'simply' create vibrations in the air but also to control the spatial shape of the produced waves. 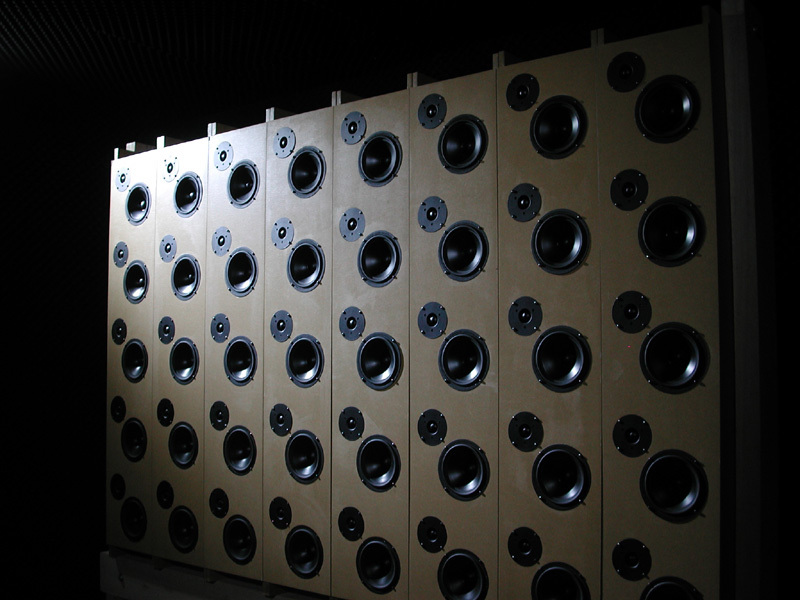 Together the loudspeakers form one large spatial wave field synthesizer. Sound production based on wave field synthesis forms the basis for a realistic spatial experience different from other multi speaker setups. 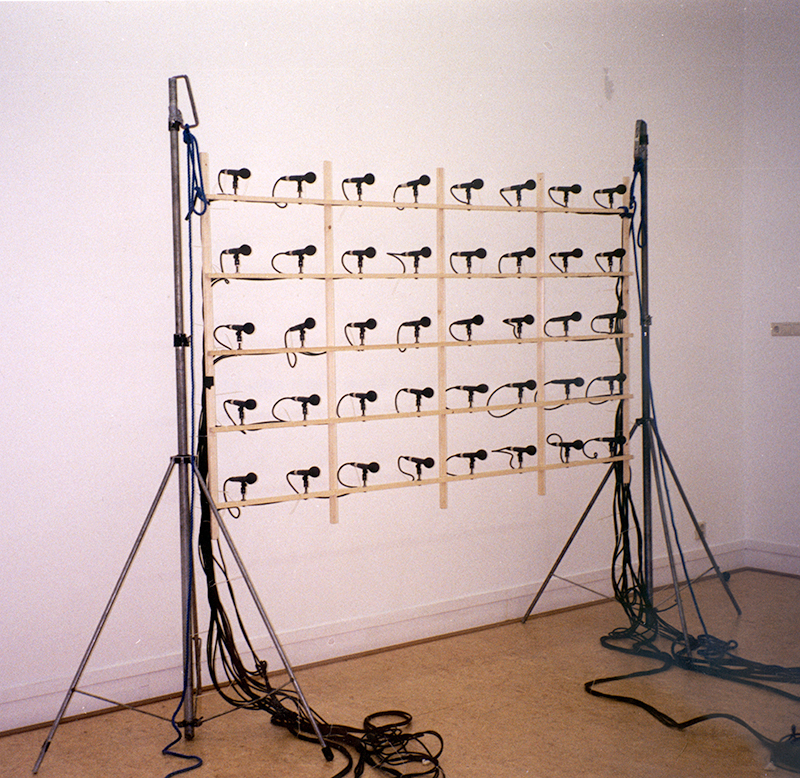 To record the sound material for the installation, an identical surface of 40 microphones was used. 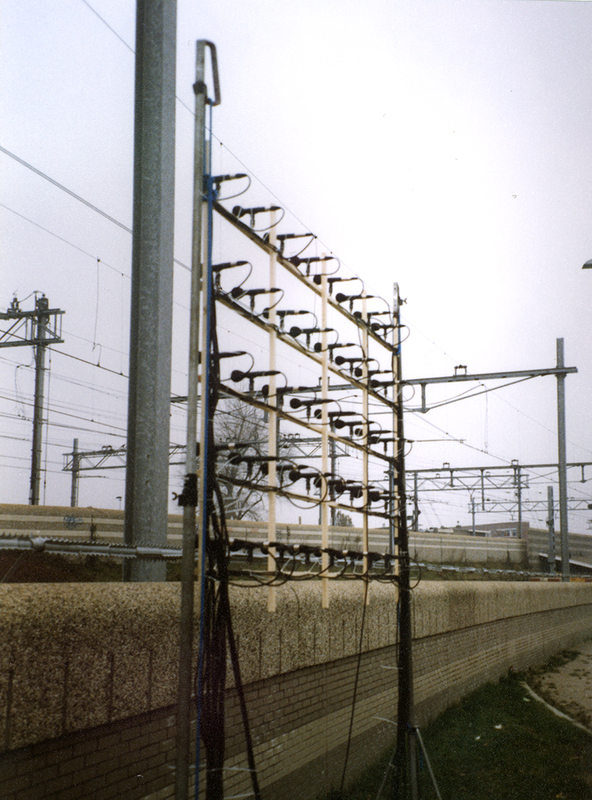 This surface has the same qualities as the loudspeaker surface; The grid of microphones is able to record the spatial propagation of the sound waves in the air. The playback of the final composition happens from a 40 channel multitrack system. 'A World Beyond the Loudspeaker' is a composition of concrete sounds recorded in the open field. The material exists of recordings made in industrial environments. The main focus is on the Rotterdam harbour, a train track interchange, a construction site for houses, and a shipyard. The differences in spatial nature, acoustical perspective, movement and timbre of the different locations form the base for the compositional structure. The installation is an investigation of spatial movements represented as sonic phenomena. The result is a movie for the ear. The installation is designed for a closed free space and incorporates a lighting design that evolves over time. The composition has a length of 32 minutes. There is no formal beginning or end and the composition is automatically self-repeating. The audience is free to enter or leave the installation space at any time. 'A World Beyond the Loudspeaker' premiered on December 10, 1998 in Huis aan de Werf, Utrecht, The Netherlands, as part of the 'Dutch Music Days' festival. 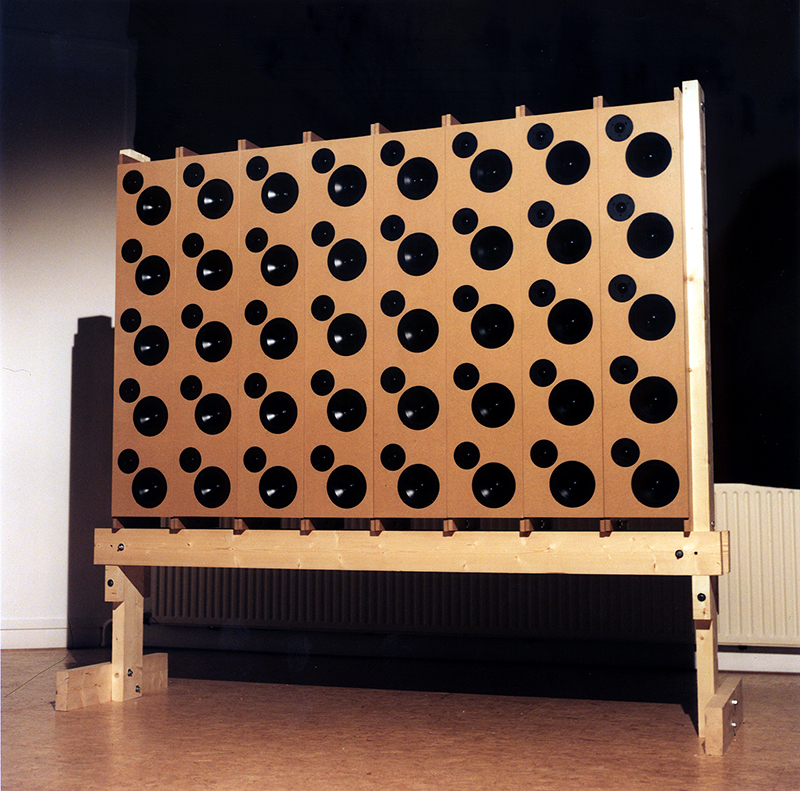 After 'A World Beyond the Loudspeaker' Edwin van der Heide realized the installation 'Impulse #6' (2000) that is using the same speaker installation but instead of using wave field recording, the sound material is electronically generated and spatialized using custom wave field synthesis software.